A few months ago I wrote about the Sonoff SC sensor hub by Itead Studio. It’s a device with a Sharp GP2Y1010AU0F [Aliexpress] dust sensor, a DHT11 humidity and temperature sensor, an LDR as light sensor and a mic. The sensors are driven by an ATMega328P microcontroller but there is also an ESP8266 on board for WiFi communication, a pretty standard set up when you have several sensors and the ESP8266 GPIOs are just not enough. On the first post I already did a small mod to replace the DHT11 humidity and temperature sensor with a more accurate and pin compatible DHT22. Since then, several readers have contributed with code and ideas. My progress implementing and testing them is slow, so I though about writing a first post about some modifications I (and others) have done to the device. So this is a work in progress post. At the moment, all the code for these modifications is in the dev branch of the repository. 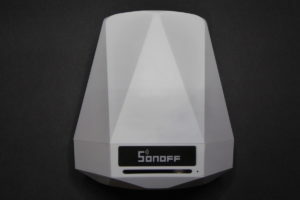 This custom Sonoff SC firmware is released as free open software and can be checked out at my SonoffSC repository on Github. 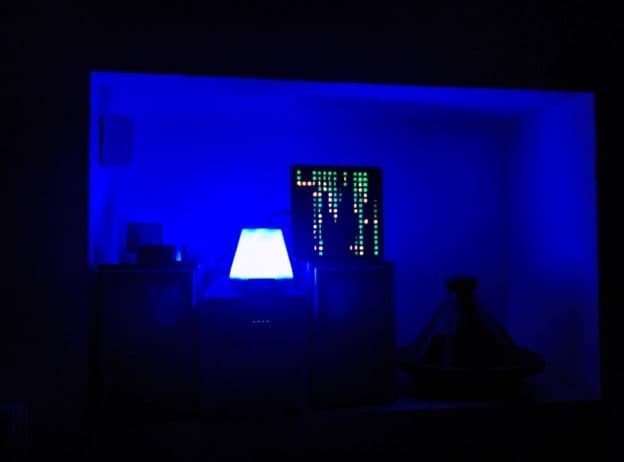 This entry was posted in Projects and tagged adafruit, atmega328p, dht11, DHT22, dust, ekmb, esp8266, fan, ftdi, harm aldick, itead studio, mg15b, microwave, MQTT, neopixels, node-red, panasonic, pir, rgb led, sharp gp2y1010au0f, sonoff sc, ws2812, WSN on June 29, 2017 by Xose Pérez.